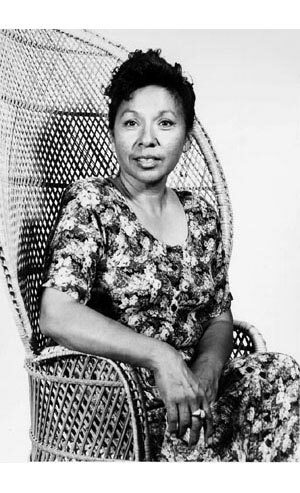 Anna Lee Walters, Pawnee/Otoe-Missouria, was born in Pawnee, Oklahoma. She obtained her BA from Goddard College in Plainfield, VT, where she also obtained her MFA in Creative Writing. She is married to Harry Walters, Navajo, who heads the Ned A. Hatathli Museum at Diné College in Tsaile, Arizona. They have 2 sons. Anna is currently an Instructor in the Humanities Division at Diné College and an independent consultant on American Indian issues. Anna has 10 years experience in administrative positions and 7 years experience as publisher of educational and trade publications with Navajo Community College Press. She has also accumulated much experience as editorial manager for book production, newsletters, and other publications and audio visual production and also worked in curriculum development. Beyond all this experience, Anna has been writing for 37 years and teaching for 15 years. She has 29 years of experience as a lecturer and public speaker on Native American Literature, Writing, and other American Indian issues. Her work has been published in many anthologies, included in textbooks and in many periodicals. She has been the editor for 3 major research volumes published by Najajo Community College Press and is listed in the major international directories, such as Who's Who in the West , Who's Who of American Women and the International Women's Who's Who. Anna has given readings of her work at colleges and museums all over the U. S. She has read at Gettysburg College, the Arizona State Museum, the University of California at Davis and the University of Arizona in Tucson, as well as at many other schools. About her storytelling roots, Anna says, "These extend through ancestors, and their genealogies and indigenous languages. They are still green and vibrant and still connect us to the earth." She laughs and says that she has written much of her lifetime, though there seems to be not enough proof of it. Most recently she has created an indigenous website (http://www.womanearth.org/) in which she produces writing in two tribal languages online. Recipient of two literary prizes (the Virginia McCormick Scully Award and the 1986 American Book Award from the Before Columbus Foundation) The Sun Is Not Merciful is Pawnee/ Otoe writer Anna Lee Walter's first collection of short fiction. The Sun Is Not Merciful , Firebrand Books. Ghost Singer , Northland Publishing. The Spirit of Native America: Beauty and Mysticism in American Indian Art , Chronicle Books. Talking Indian: Reflections on Survival and Writing , Firebrand Books. Neon Pow-Wow: New Native American Voices of the Southwest , as Editor, Northland Publishing. Indian Market Magazine , 1999 Collector's Edition. Stories for a Winter's Night: Short Fiction by Native American Writers , Maurice Kenny (Editor), White Pine Press. Bonnie Tusmith and Gerald Bergion (Editors), Harcourt College Pub. Bettina Aptheker (Editor), Univ. of Massachusetts Press. Walking the Twilight II: Women Writers of the Southwest , Kathryn Wilder (Editor), Northland Pub. Journal of Navajo , Spring 1994, Vol. XI, No. 3. Journal of the Southwest , Vol. 32, No. 1, Spring 1990. Christianity and Crisis , Vol. 48, No. 18, Dec 1988 and Vol. 49, No. 19, Jan 1990. Akwekon , No. 5, April 1986. North Dakota Quarterly , Vol. 53, No. 3, Spring 1985. Bo Scholer (Editor), 1984, Aarhus, Denmark : Seklos. Frontiers: a Journal of Women's Studies , Vol. VII, No. 3, Fall 1981. Vol. V, No. 3, 1981. Scree , 11-12, Native American Issue, (Duck Down Press) 1979. No. 8, Oct. 1977 (German language). The Indian Historian , Vol. 10, No. 4, Fall 1977. Shantih , (DSpecial International Women's Issue), Fall/Winter, Vol. 3, No. 3, 1976. Arlene Hirschfelder (Editor), Macmillan General Reference. Growing Up Native American , Patricia Riley (Editor) , Avon Books. Wildfire , Volume 4 Number 3. Western American Literature , Vol. XXIX No. 4: 376. How We Live Now: Contemporary Multicultural Literature , John Repp (Editor), St. Martin's Press, 1993. Language , Scott Foresman, 1989. The Native Americans: An Illustrated History , David Hurst Thomas (Editor), Turner Publishing Inc. 1995. Plains Native American Literature , Globe Book Co. 1992. Arlette Willis (Editor), Christopher-Gordon Pub. 1998. Piste Perdute, Piste Ritrovate: Racconti Indiani , Franco Melli, Milano (Italy), 1996. © 1999 - 2009 Anna Lee Walters and Karen Strom.